SOFT GRIP FOR WET HANDS. Ello's Stratus Tritan Plastic Kids Water Bottle is designed with a silicone accent band that makes it super easy to remove the lid for filling and cleaning. A leak-proof locking flip lid with silicone soft straw is designed for on-the-go use. Stratus's XL push button and silicone soft carry loop make it easy for littler hands to stay hydrated on-the-go. 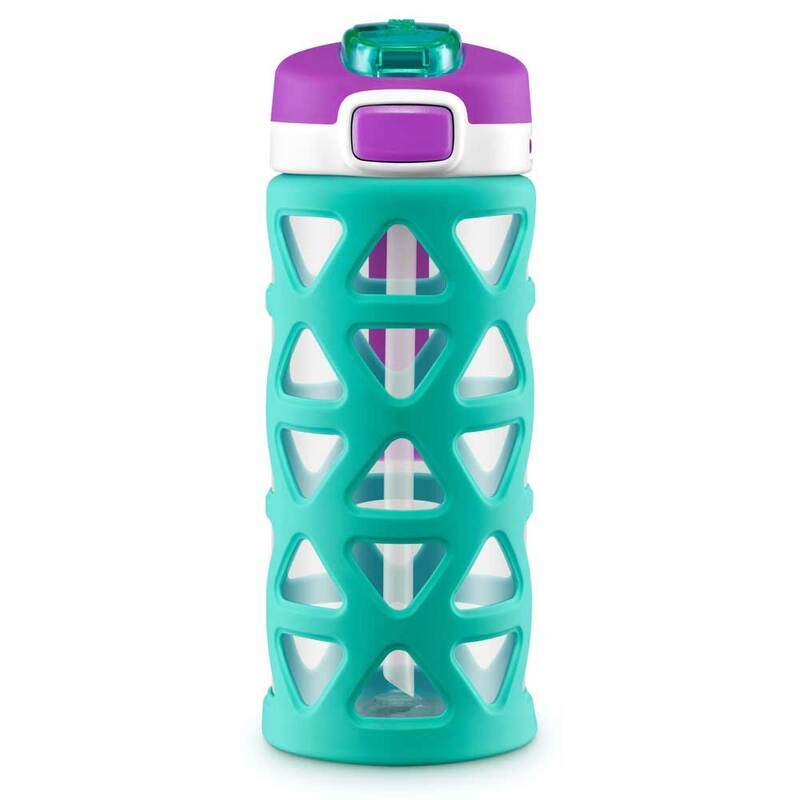 This bottle is BPA/BPS free and dishwasher safe. Do not freeze. Do not microwave. For cold beverages only.